If you are a business leader who is ready to transform your organization by embracing Kaizen, you may be looking for technology tools to support the effort. If you are like most people, you don’t buy Kaizen software every day. In fact, it’s a decision that most people make only once (or very rarely). 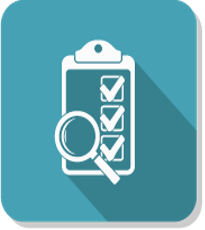 That’s why we thought it might be helpful to provide a checklist of important features, capabilities, and vendor qualifications that you’ll want to consider as you investigate and compare solutions. Selecting a solution that meets these criteria will help ensure a smooth roll out and long term success. Widespread Opportunity Capture – The Kaizen way is built around the identification of potential opportunities for improvement, no matter how small. The first function of your Kaizen software is to be a platform for documenting every opportunity. Structured Improvement – Once ideas for positive change are generated, the solution should structure the process of evaluating and actively managing those that will be implemented (and you should be implementing most of them!). It should provide an organized workflow with notifications and alerts to keep everyone informed of the progress of each improvement. Impact Measurement and Reporting – It is essential to be able to quantify the impact of Kaizen. Choose a solution that makes it easy for you to track the ROI of improvement as well as non-financial benefits such as improved customer satisfaction, shorter time to market and safer conditions. Accessible from Anywhere – Cloud based Kaizen software is ideal for connecting disparate teams. Solutions that are available on any device help ensure that opportunities for improvement are captured wherever they are spotted. Secure – Certainly a repository of your improvement efforts is not something you’d like to make public. Do not consider a solution wihout SSL authentication. Easy to Use – You want your Kaizen technology to make participating in improvement easier for everyone on your staff, rather than being just one more clumsy piece of software to navigate. Modern software should be well designed and intuitive. Successful Customers– If the solution includes impact measurement, the vendor should be able to give you some idea of how successful their customers have been. If they can’t point to actual data and results, beware. Domain Expertise – The vendor should have a good understanding of the Kaizen philosophy and the tools used to support it. There is a language to the approach, make sure you choose a partner who speaks it. Training Resources – While the software should be easy enough to use for most employees with little or no training, the implementation team should receive the education, guidance and access to experts they need to ensure a smooth deployment. While it may be tempting to simply select the lowest cost Kaizen solution, you will get much more back from your investment if you select one that meets each of these standards.